A primary aim of this course is to give participants a toolkit to identify and date English bindings on historic books, distinguishing the contemporary from the later and the repaired, covering the progression of decorative styles which enable simple as well as upmarket bindings to be recognized. It will focus on external, visible features, rather than internal features. Although English bindings form the backbone of the course, bindings from continental Europe will be brought in to compare, contrast, and set the wider context. Consideration will also be given to the book historical landscape in which bindings should be seen, understood, and interpreted. “What are the questions I should ask, when looking at a historic binding?” is a theme that will run through this course, and it is hoped that students will come to the end of the week better equipped both to pose and to answer those questions. The course is designed for individuals who work regularly with historic books on which English bindings are likely to feature: librarians and curators, humanities researchers, collectors and dealers. It is not a practical course to learn how to bind, and its philosophy is book historical, not art historical–it will cover bindings of all kinds, the cheap, temporary, and simple as well as the extravagant and luxurious. Illustrated teaching sessions will be supplemented by opportunities to see and handle examples from the Rare Book School collections, and one day will be dedicated to a trip to the Folger Shakespeare Library in Washington, DC where we will look at about eighty bindings from their outstanding holdings. David Pearson teaches this course. 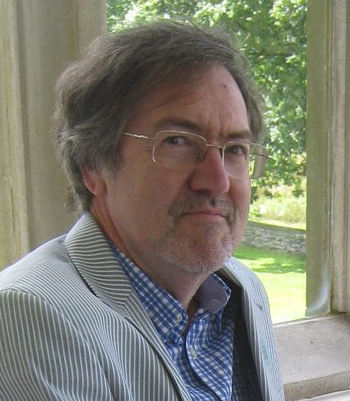 David Pearson retired in 2017 as Director of Culture, Heritage and Libraries for the City of London Corporation, after a professional career of 35 years or so working in various major research libraries in London and elsewhere. He is now a Research Fellow at the Institute of English Studies in the University of London, and a member of the teaching staff of the London Rare Books School there. He has published extensively on aspects of book history, with a particular interest in aspects of the book as an owned and designed object; his books include Provenance Research in Book History (1994), Oxford Bookbinding 1500-1640 (2000), English Bookbinding Styles 1450-1800 (2005), and Books as History (2008). He has taught and lectured in these fields for numerous audiences and is a Past President of the Bibliographical Society.